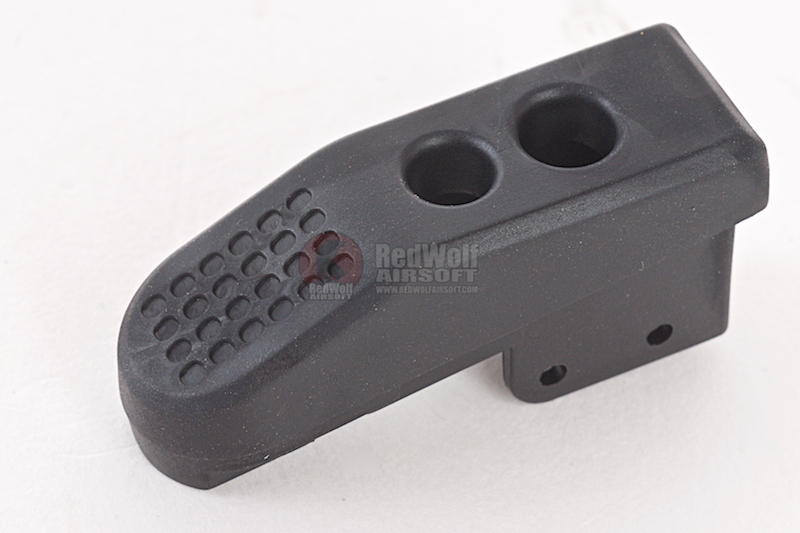 The PTS 1911 Magazine Baseplate for Tokyo Marui airsoft pistols are specifically designed to reduce shock to the magazine if dropped thus prolonging the life of the magazine. The simple one-piece design made from TPU rubber consist of just the right hardness to absorb shock whilst being hard enough to avoid tearing if forced or pulled. 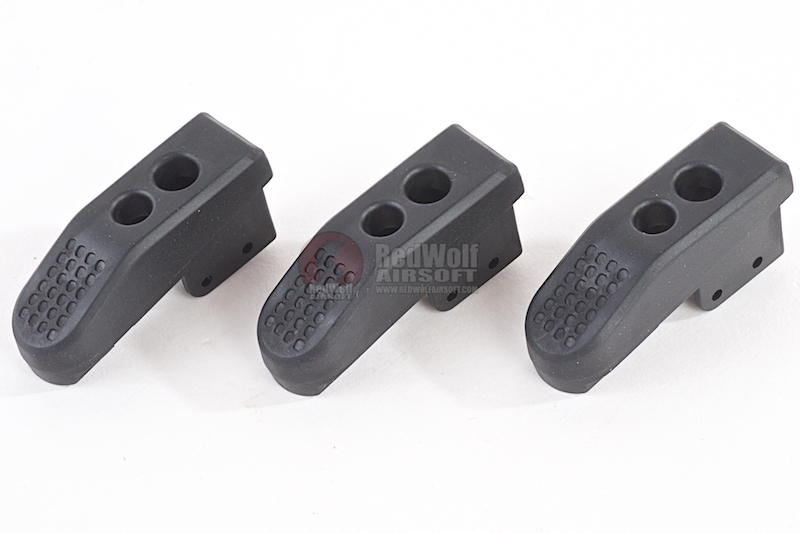 The angled face of the baseplate aids the shooter in stabilizing their pistol level to the horizontal to shoot with greater accuracy from a fixed platform. 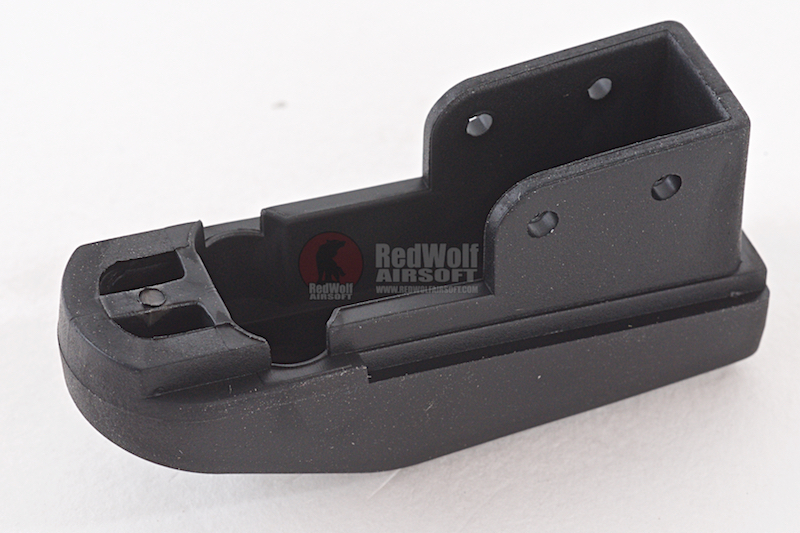 The face of the baseplate also incorporates a recessed dot matrix so magazines can be marked accordingly if need be.